Ok, strummers, show us your stuff. 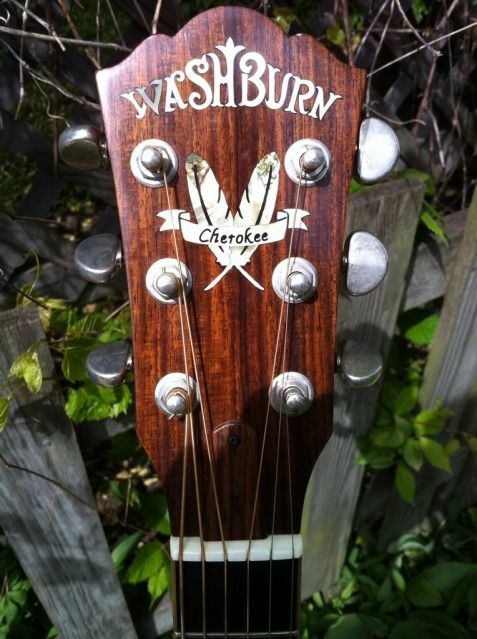 Go to www.washburn.com/strum and participate in our Washburn Acoustic Jam contest and see if you have what it takes to win a new WD10S guitar or other cool prizes. Nice contest Nick, but You guys keep leaving the Mandolin players out. Who said mando's were out? Mando's are every bit as acoustic as guitars... go for it Magoo. I'm not seeing any videos under the watch tab...tech error or has no one entered? Could be because it's not really clear about what they want. Video states, submit a 35-second video of your best acoustic stuff. Stuff? Do they want a progression run?... an acoustic riff?... vocals? They're clearly not wanting a song or performance piece in 35-seconds as that's only enough time for an intro + 4 bars. I'll guess, (until corrected,) that they're looking for short submissions from acoustic speed demons, blinding tappers, and one-trick ponies which leaves, pretty much everyone else, sitting in the wings. that'd be consistent with the electric contest they had last year. My thoughts, too. And, they're looking for the best (whatever that is), which leaves me out. I love to play, and play a variety of styles, but none of it is guitar-world shattering stuff. Like Mike, I've considered doing it just because - if I can get up the nerve! Sorry i guess the contest was a bad idea. My bad. We don't expect or want anything in particular. You guys get to vote so whatever is the most appealing to the masses is what will win. That is if anyone ever submits a video. Hell, the first three to submit may end up being the winners. We don't expect or want anything in particular. Well, that what y'all got, and that's my point exactly... could y'all be any more vague? You appear to have gone to great lengths to seem very precise as to rules, eligibility, and submission... then nothing particular as far as 35-seconds of content. I'm guessing if you take 35-seconds to clarify, you might get some submissions. We weren't specific with the electric riff contest and we had over a hundred entries last year. We pretty much copied the rules and stuff from that so we didn't really go to great lengths. Maybe 35 seconds wasn't enough but no, i wasn't looking for entire songs or vocals, just acoustic riffs. Ok, at least that's more clearly defined. Big difference; electric & acoustic riffs. I can think of thousands of electric riffs... not one single acoustic riff... probably because I'm not into the acoustics so much. There are a few videos posted now on the Jam Contest site. Everybody vote and post your own. Ah......., my friend, the fine print holds the exclusion. one (1) or two (2) 35-second video clips to YouTube.com demonstrating the entrantÃ¢â‚¬â„¢s best playing ability on a Washburn acoustic guitar. That took you exactly a month to counter... you need to check in more often.